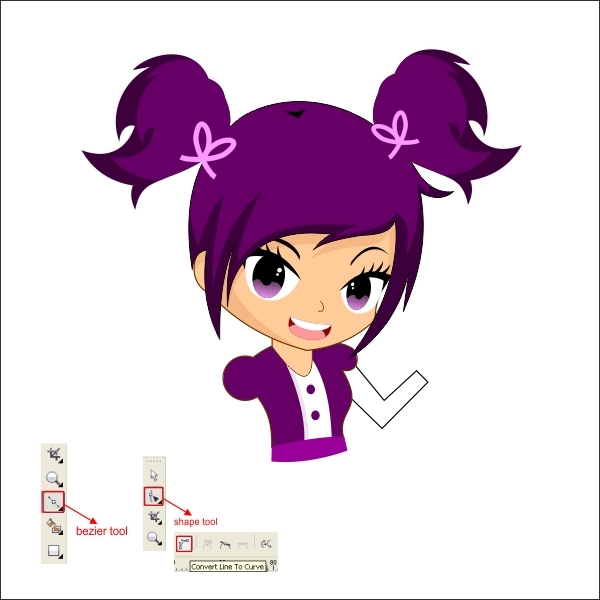 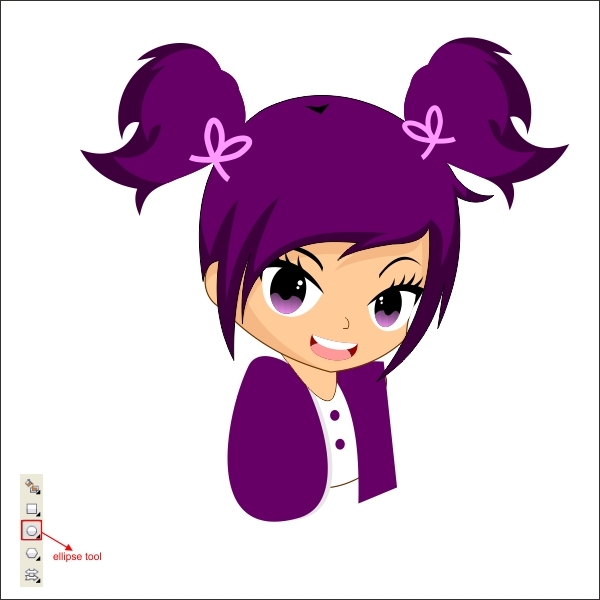 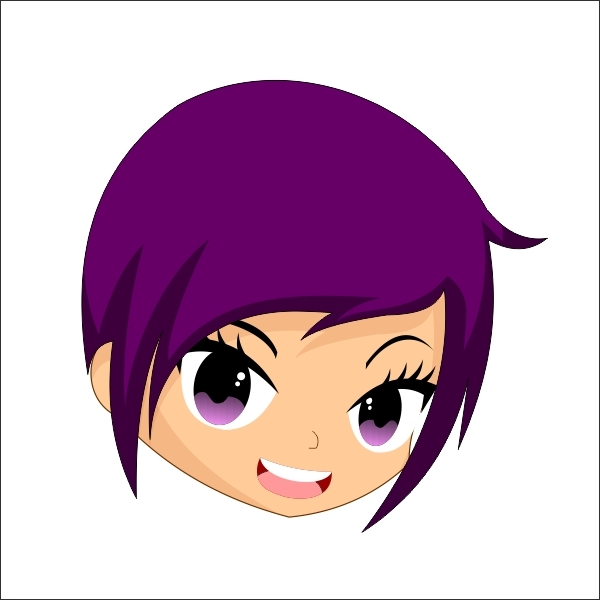 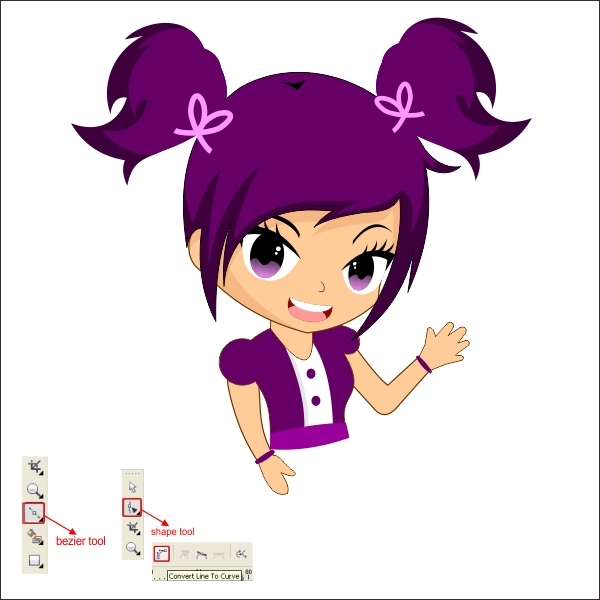 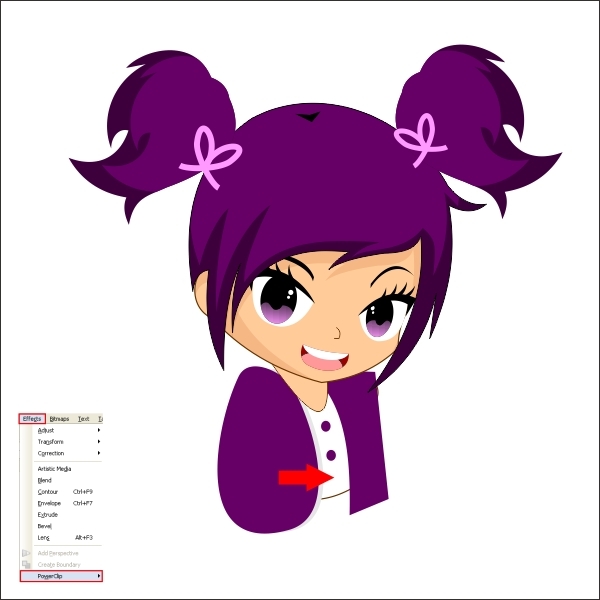 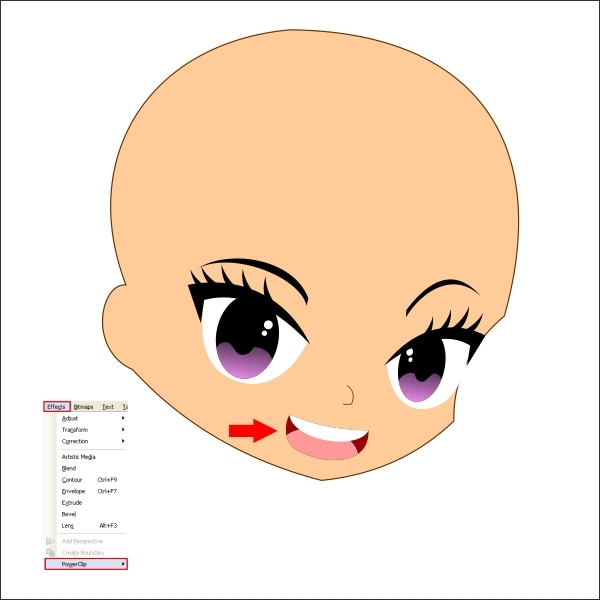 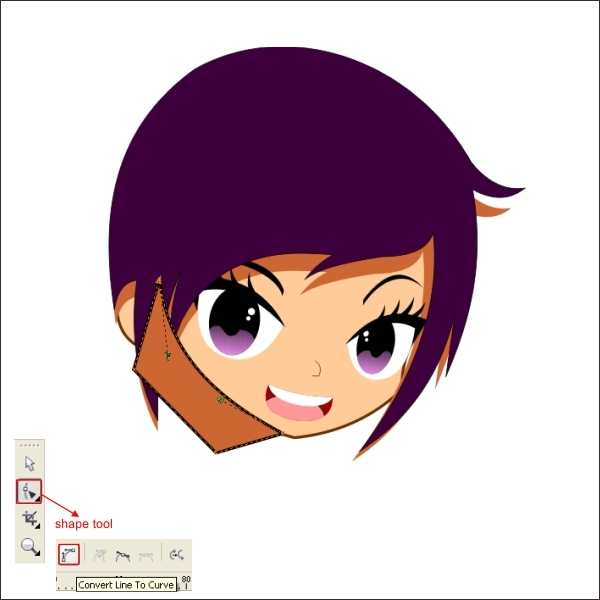 Now that we have our worksheet set, now we will begin to create the Anime Head, go to the " Bezier Tool " in the left toolbar and create a custom shape similar like below. 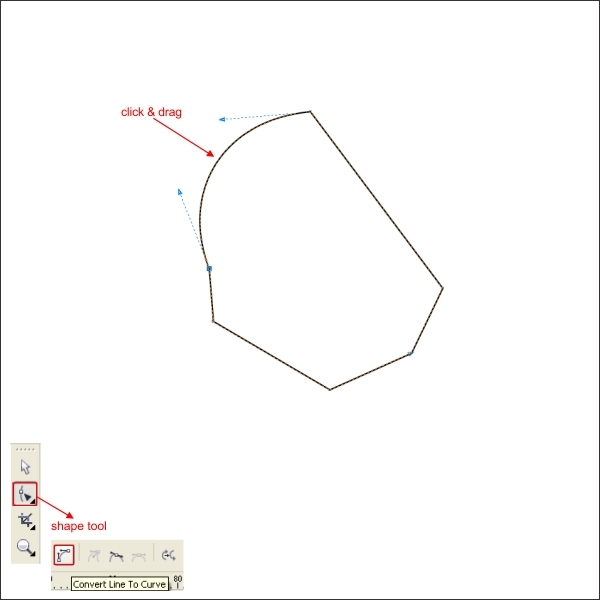 Now go to the " Shape tool " in the left toolbar, click on middle lines between the corners and find " Convert to curve " in the upper toolbar. 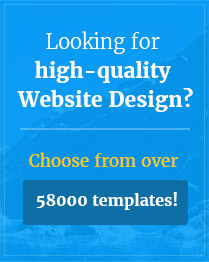 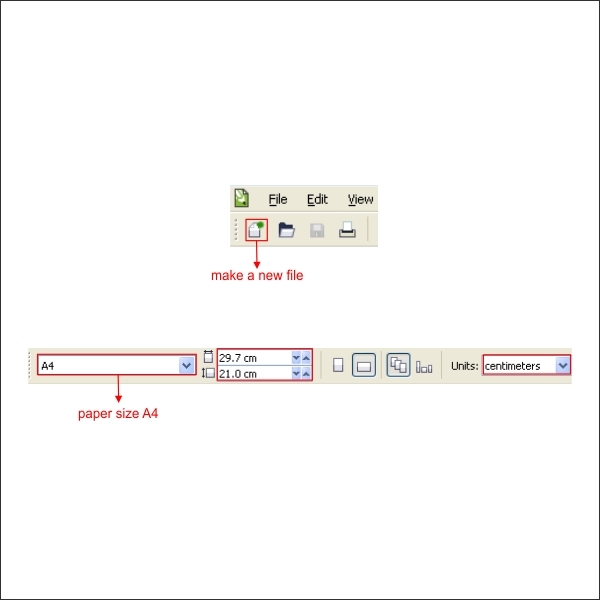 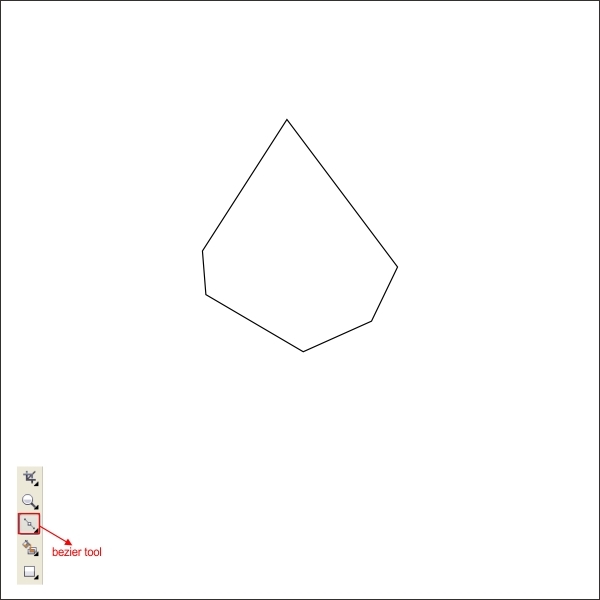 Click and drag in order to shape it similar like below. 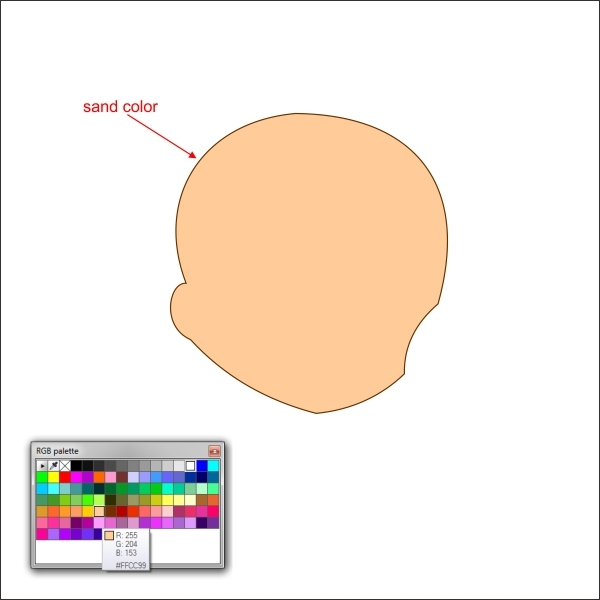 Okay now go to the color pallette in the right toolbar and put " Sand " color, this will be our basic skin color for the anime. 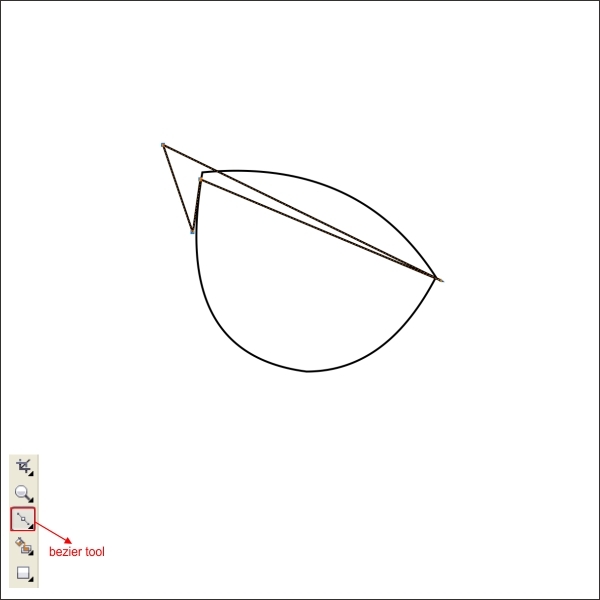 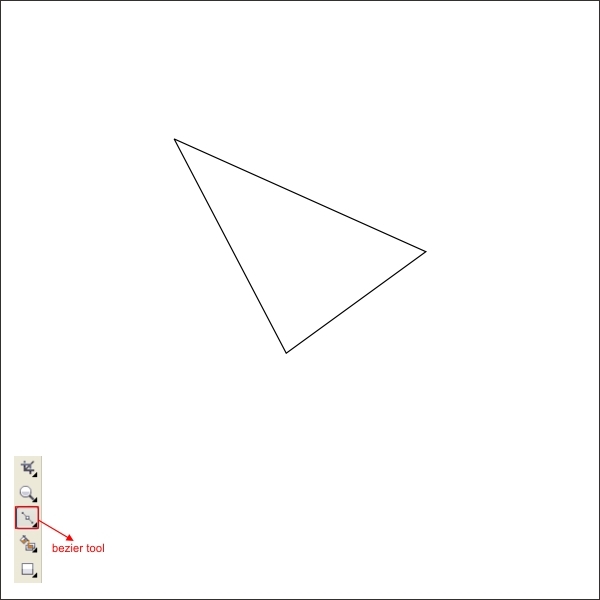 Go to the " Bezier Tool " and create a custom triangle shape similar like below. 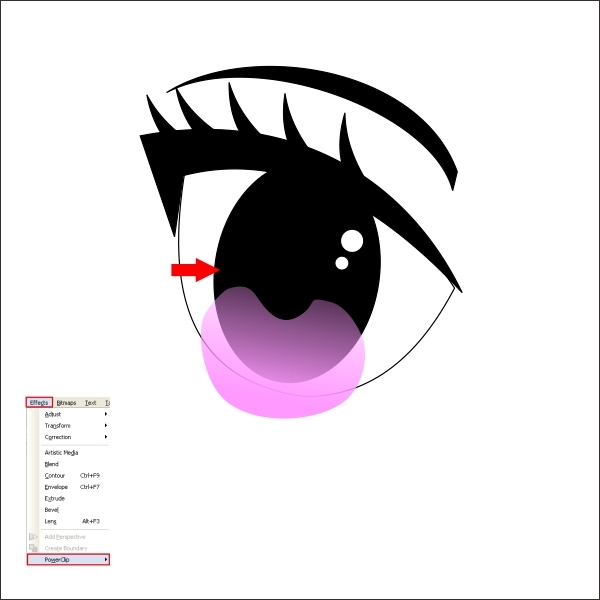 After that shape it using " Shape Tool ", shape it untill it looks like an base cartoon eye. 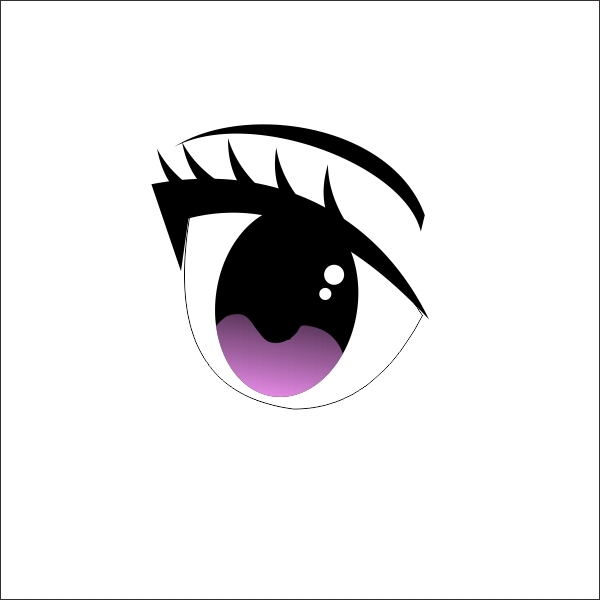 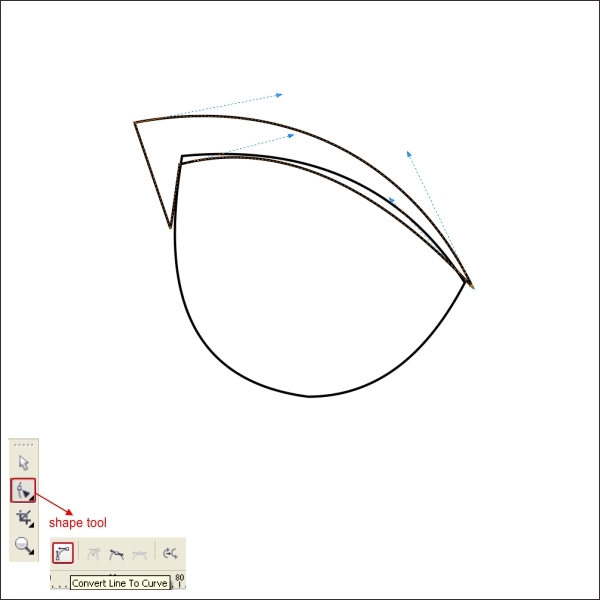 Now create another custom triangle shape with " Bezier Tool " on top of the base eye similar like below. 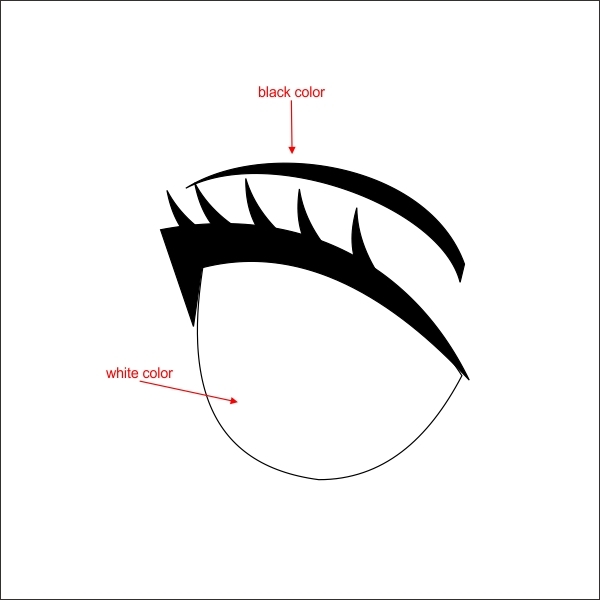 Shape it using " Shape Tool " untill it looks like an eyeliner. 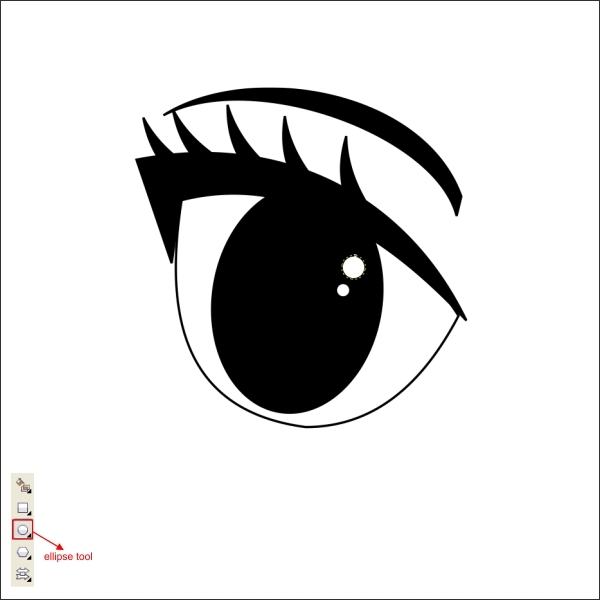 Okay now go to the " Ellipse Tool " in the left toolbar and drag to create a custom circle shape similar like below to create the Retina. 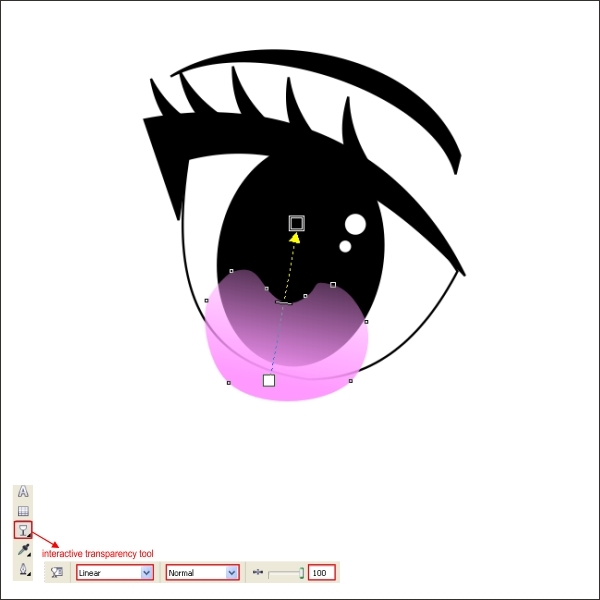 After that we are going to create the eye Lens, go to the " Bezier Tool " and create a custom shape similar like below. 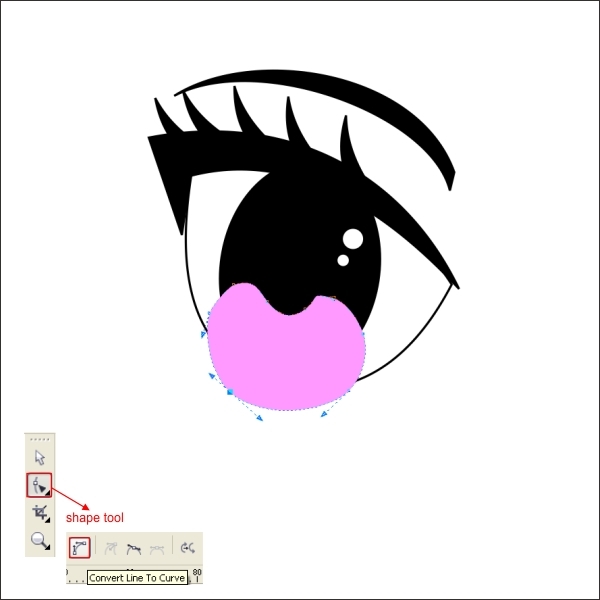 Make the corner rounded using " Shape Tool " so it looks more like an eye lens. 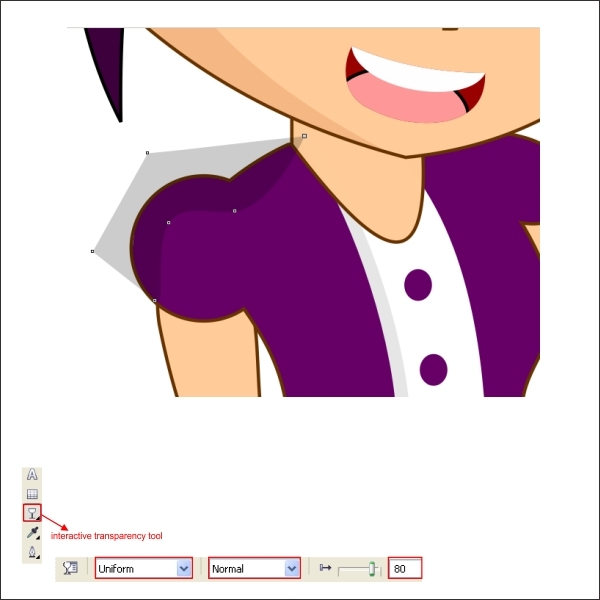 After that go to the " Interactive Transparency Tool " in the left toolbar, drag it from bottom to top to create a linear transparency. 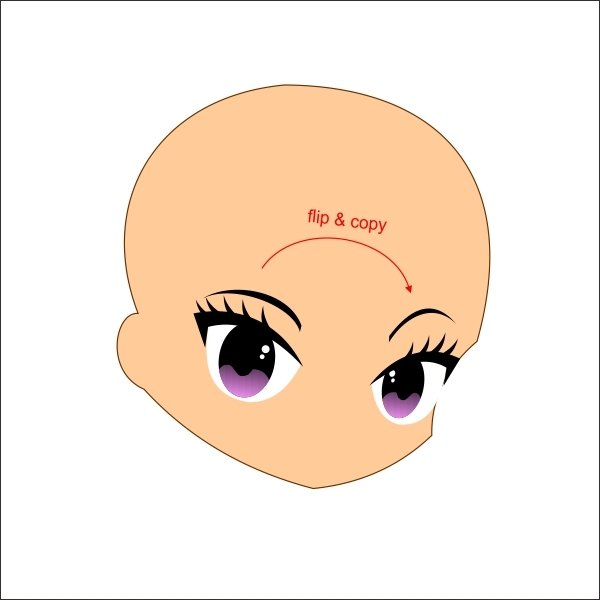 Now we are going to insert the Lens into the Retine using " PowerClip ". 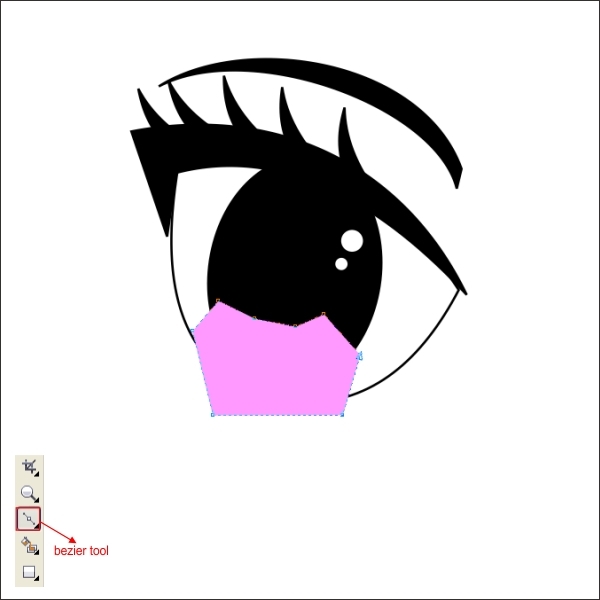 Select the lens and go to the upper toolbar find " Effect > PowerClip > Place inside Container ", click it to the Retina. 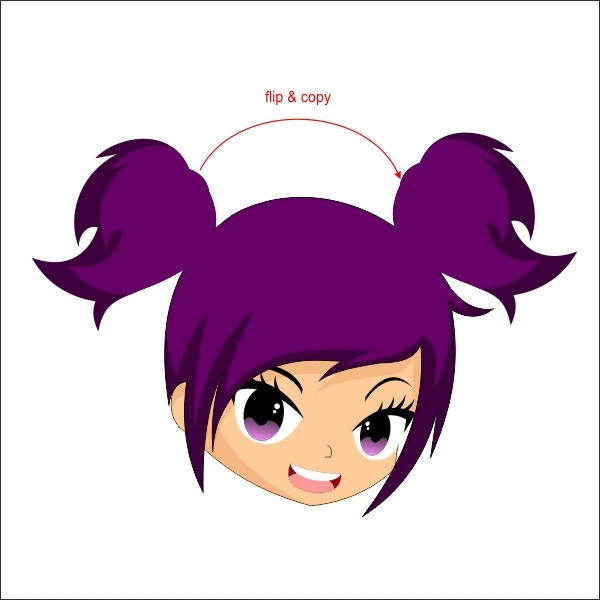 Now group it by pressing " Ctrl + G " and arrange it on top of the Head, after that flip and copy the eyes, by pressing " Left + Right " mouse while dragging it to the right. 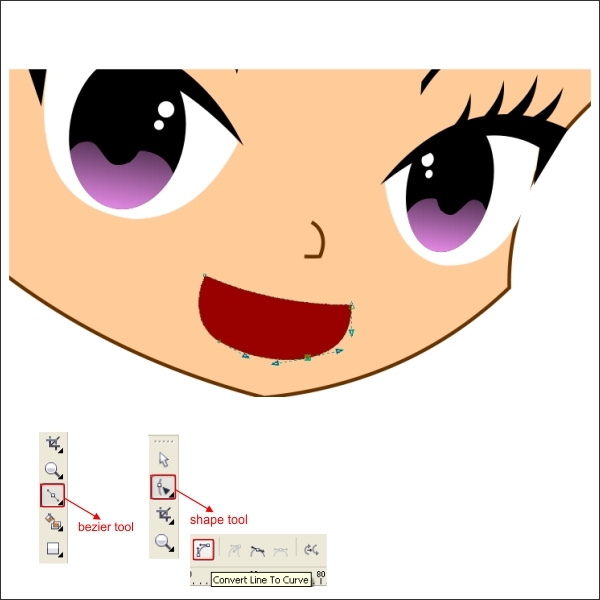 Okay now create a nose by simply creating a line and shape it using " Bezier & Shape Tool " similar like below. Go to the " Ellipse Tool " and create a custom circle, put pink color in it, after that create another but put white color in it. 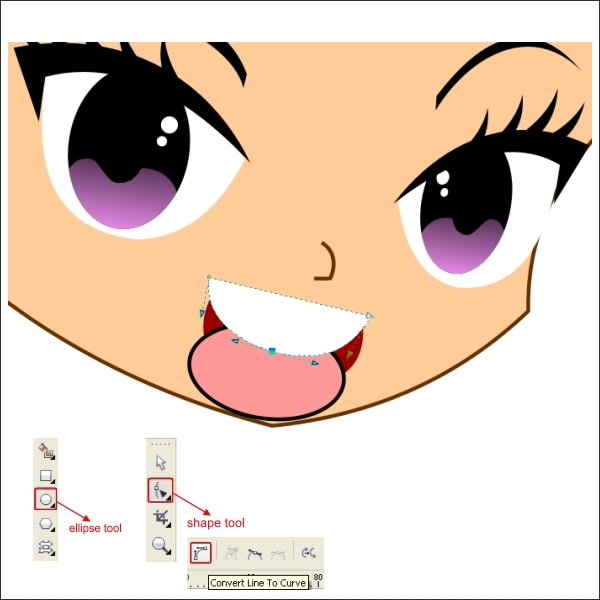 Put the tongue and teeth inside the mouth using " PowerClip " similar as previous steps above. 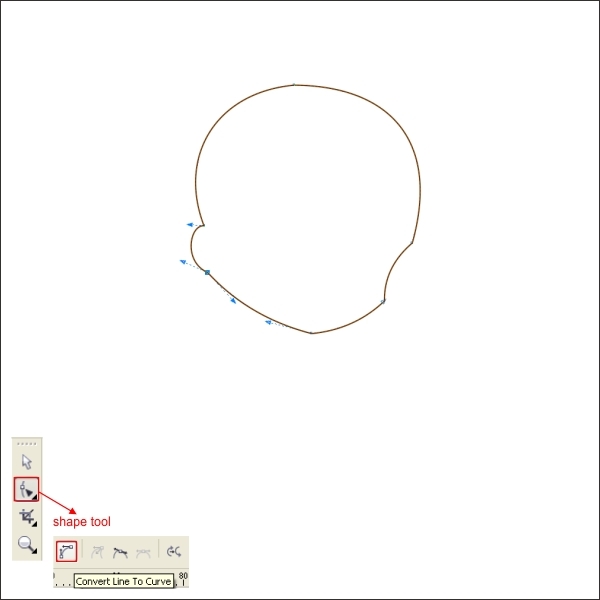 Go to the " Bezier Tool " and create a random custom shape similar like below, keep in mind that the trick is to make a random shape around the head. 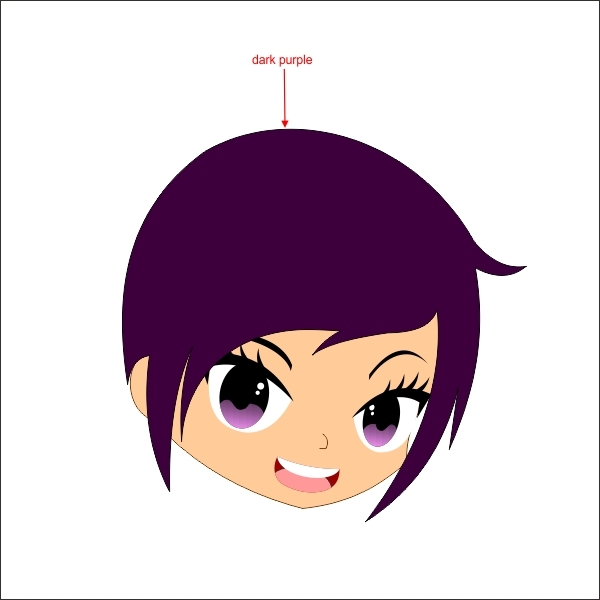 After that you can shape it using " Shape Tool " untill it shaped like a hair. 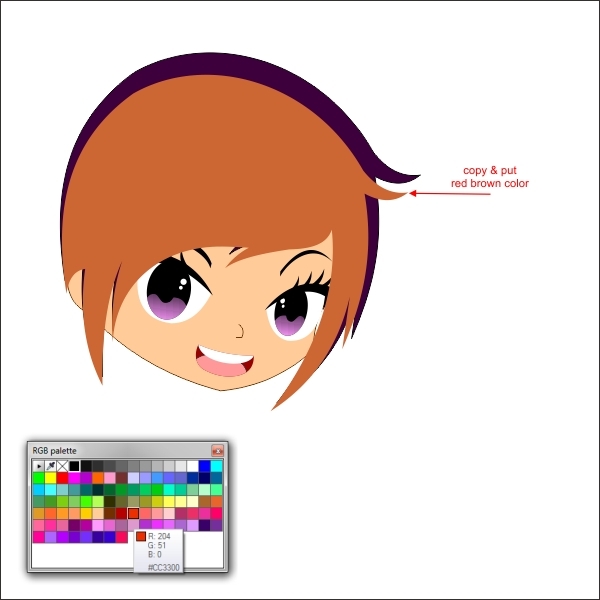 After that send the copied hair into botton layer by pressing " Ctrl + PageDown ". 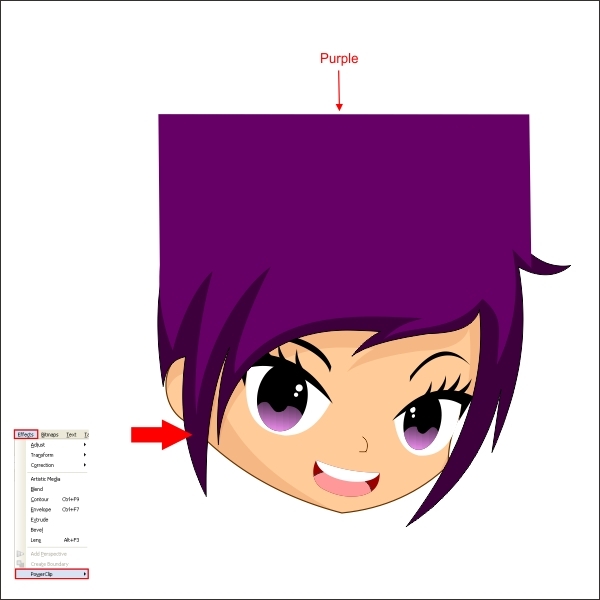 After that select the custom shape, and the copied hair, go to the " Interactive Transparency Tool " and apply the value below. 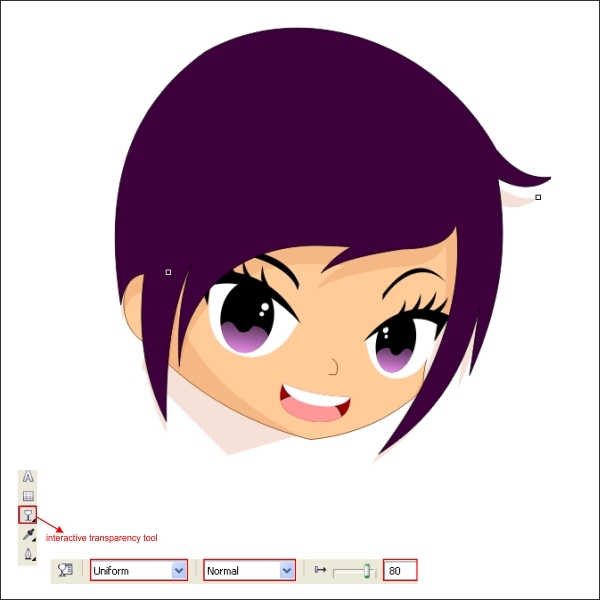 Insert the Face texture and the copied Hair inside the Face using " PowerClip" Tool. 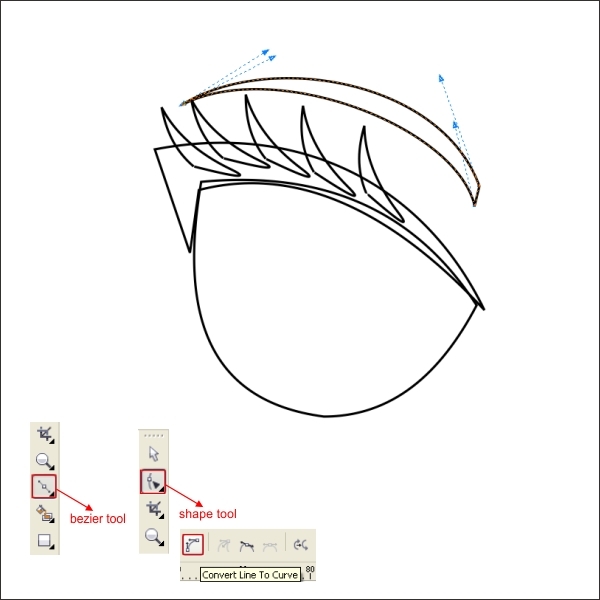 Now that you have already know how to work with " Bezier " and " Shape " tool, create a Highlight for the Hair using " Bezier " and " Shape " tool, The trick is follow the contour of the Hair. 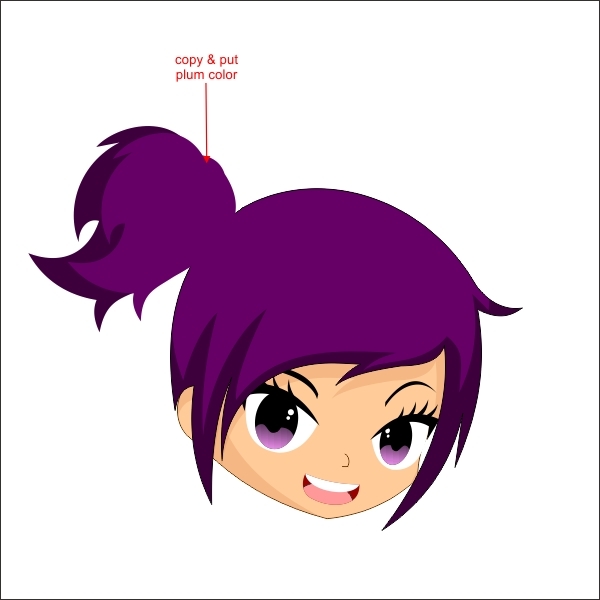 After that Insert the Hair Highlight inside the Hair using " PowerClip " . 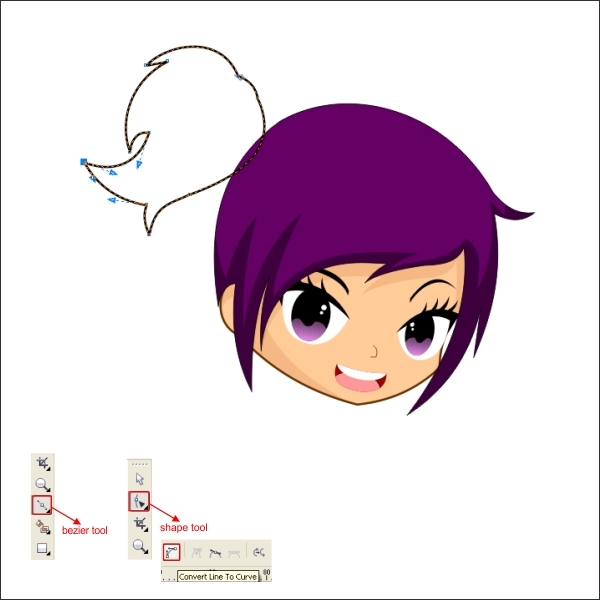 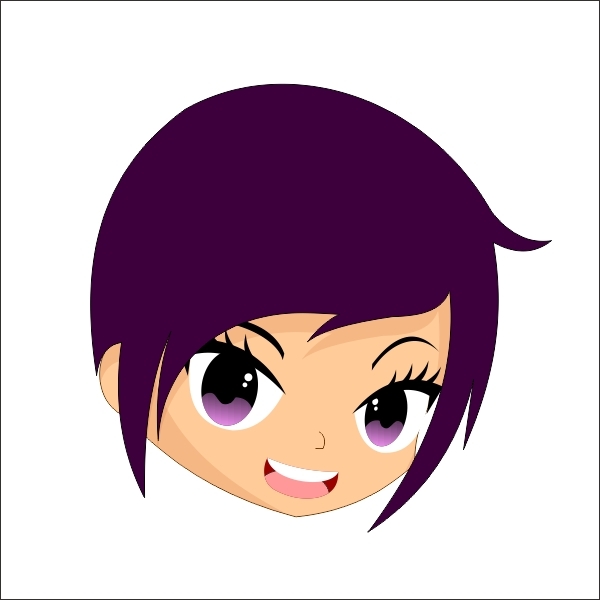 Okay now lets create a pony tail for the Anime, create a custom shape using " Bezier Tool " and shape it using " Shape Tool " similar like below. 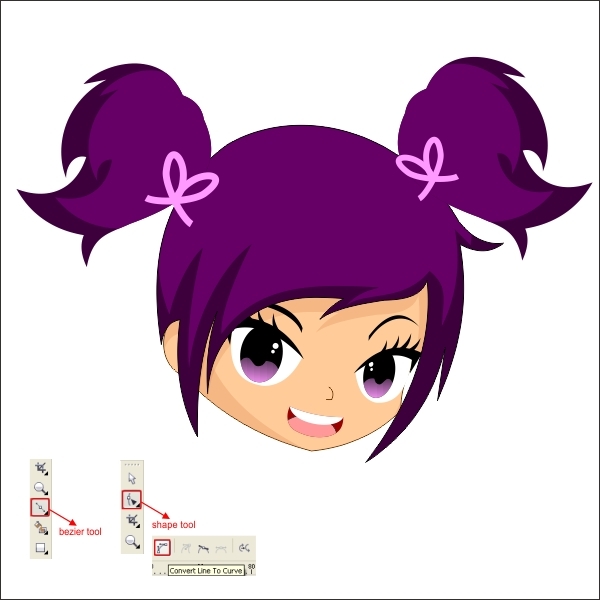 After that flip & copy the pony tail by pressing " Left + Right " mouse while dragging it to the right. 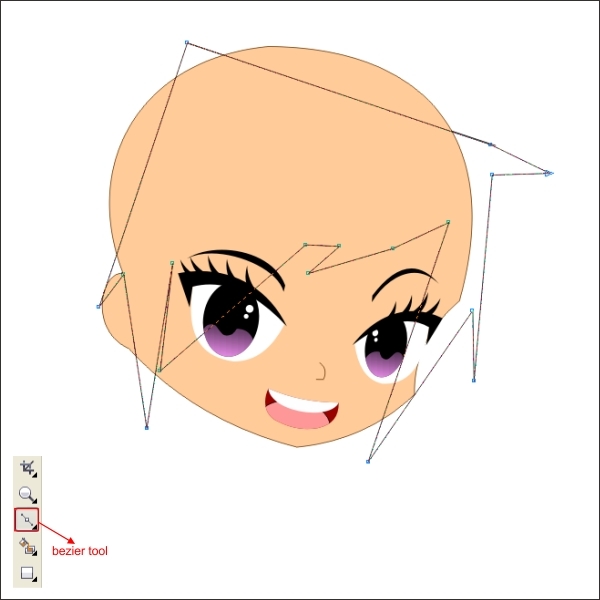 Okay now that we have the Head & Face ready lets begin to create the Body, go to the " Bezier Tool " to create a custom shape on the bottom of the head. 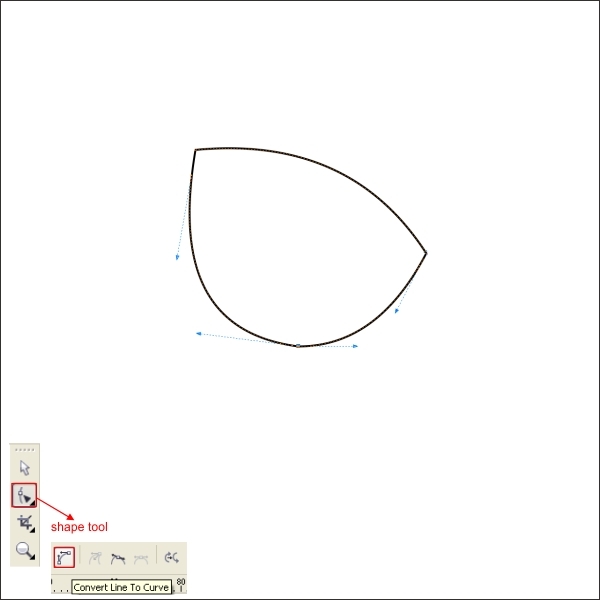 Using " Shape Tool " shape it until it looks like a girls body. 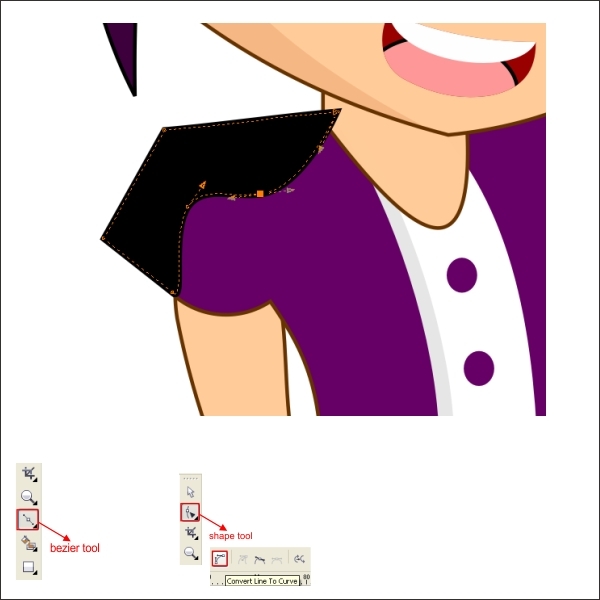 Create a neck for the body and put a skin color in it. 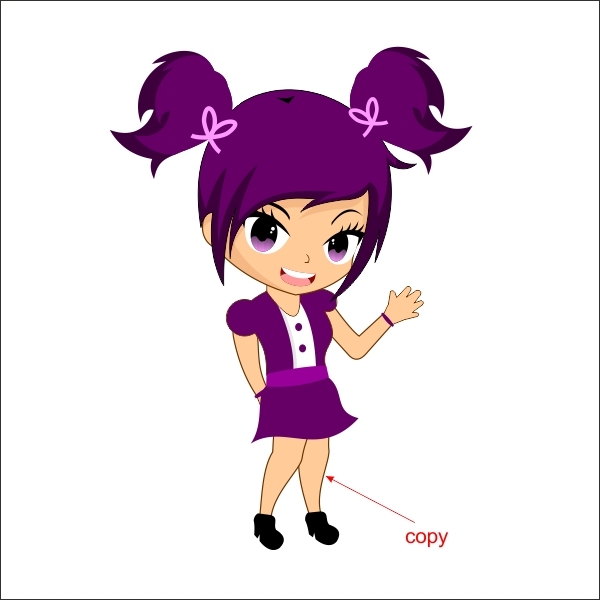 Arrange the body into the bottom layer by pressing " Ctrl + PageDown ". 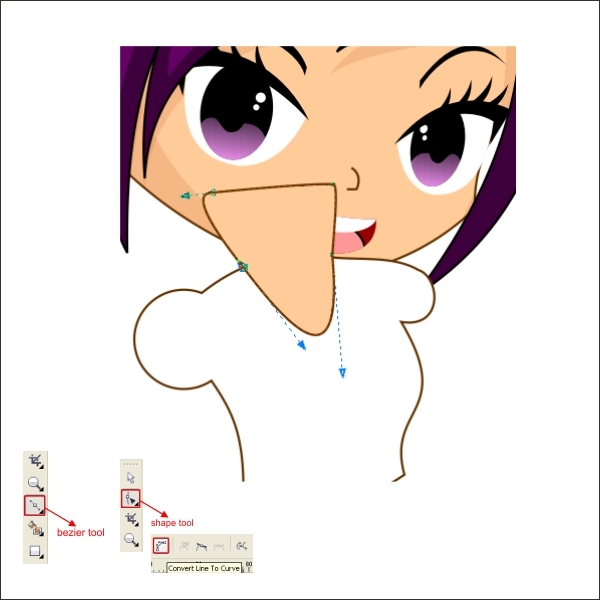 After that we are going to create a shirt for the Anime, go to the " Bezier " tool and create a shape similar like below, the trick is to follow the contour of the Body. 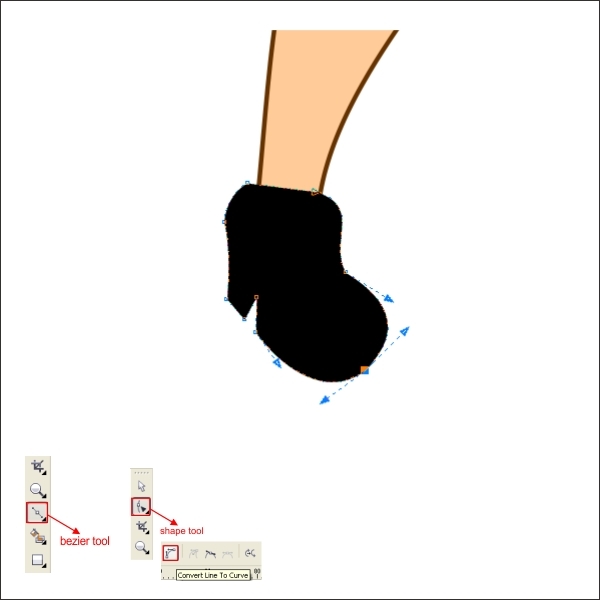 Create another custom shape to the right side of the body. 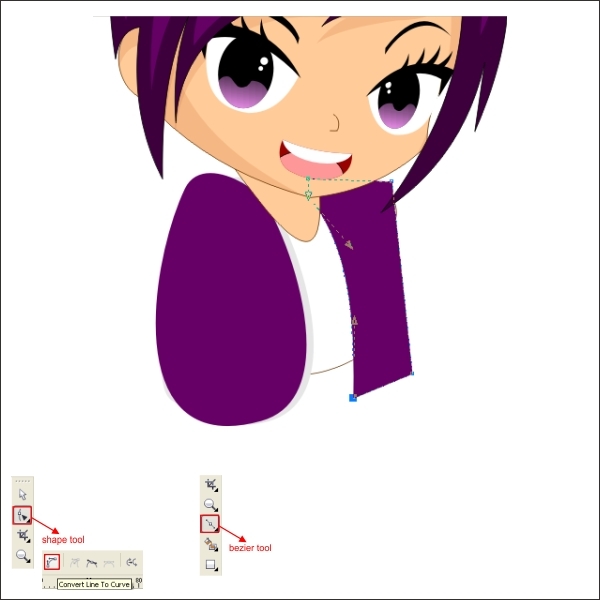 Add another detail by adding button to the shirt using " Ellipse Tool ". 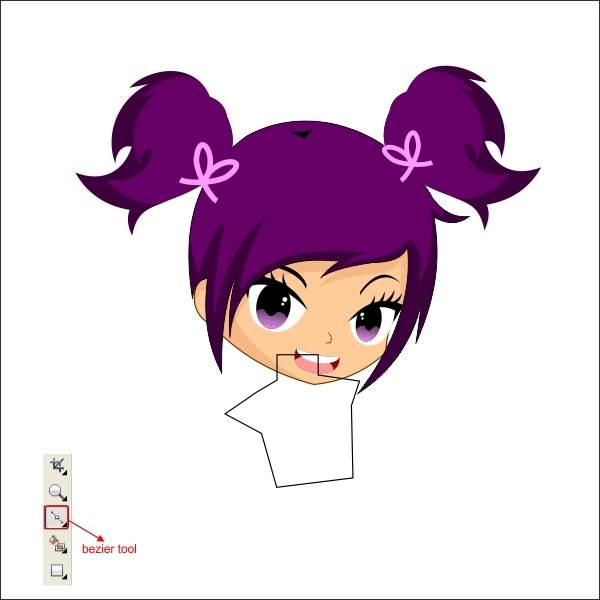 Now select all the shirt shape and insert it to the Body using " PowerClip " tool. 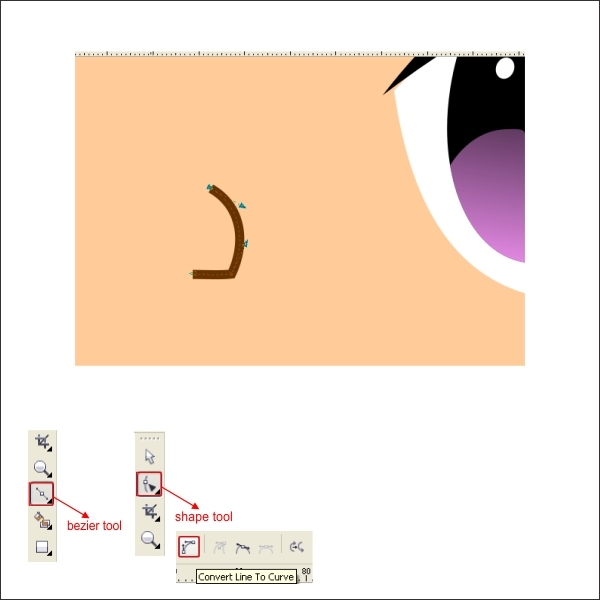 After that create a Belt for the Anime using " Bezier " and " Shape " tool. 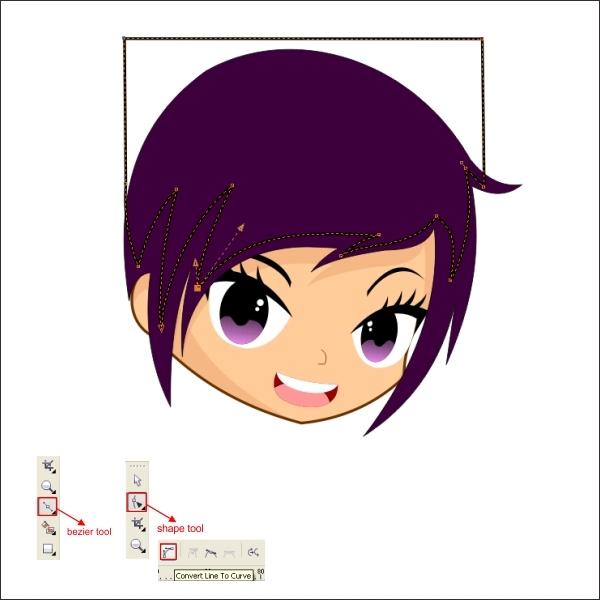 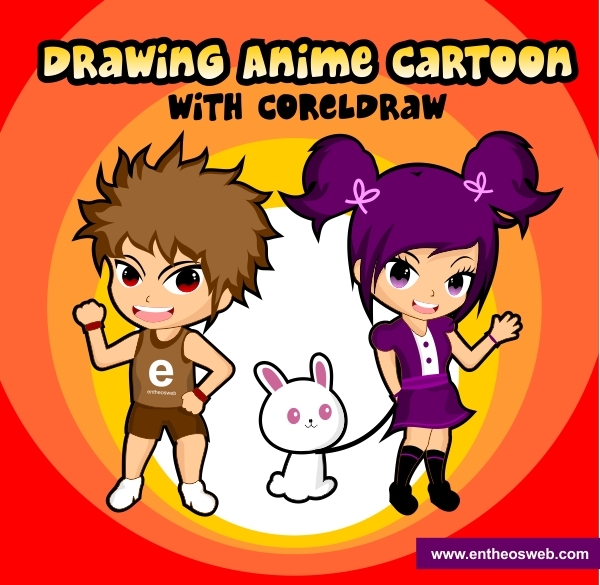 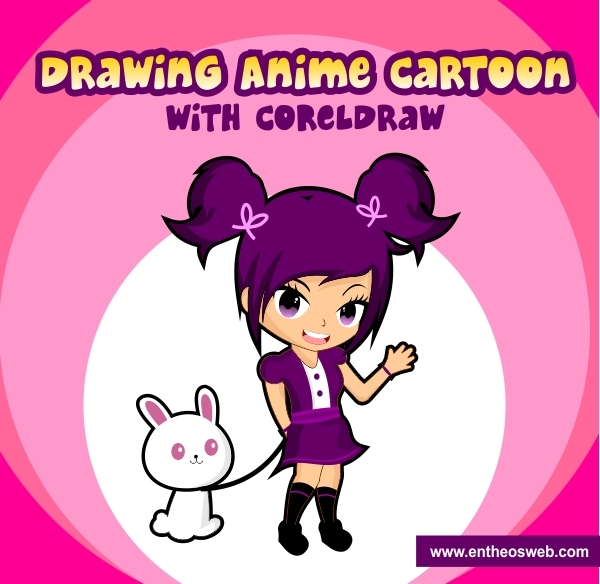 Using same technique as above, create an arm for the Anime using " Bezier & Shape Tool ". 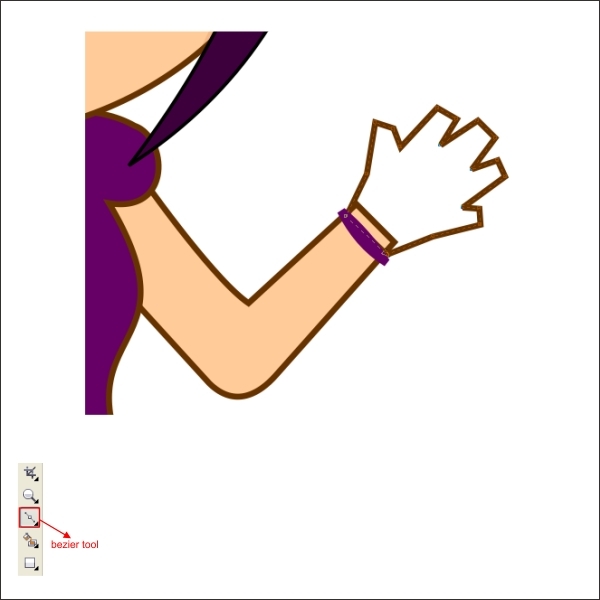 Put base skin color to the Arm. 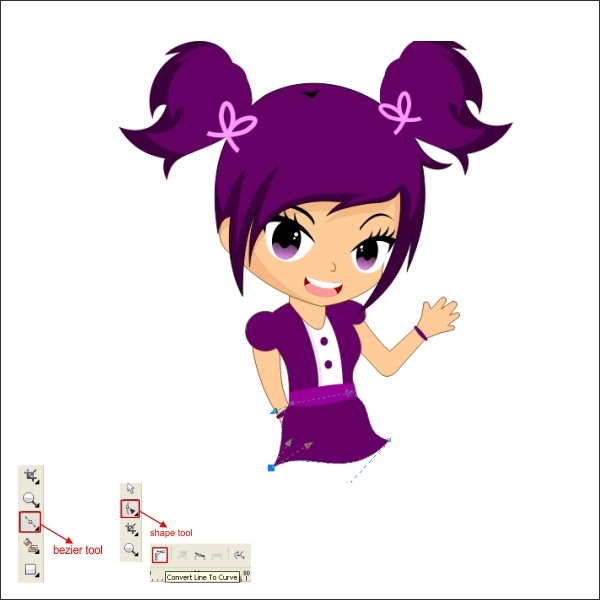 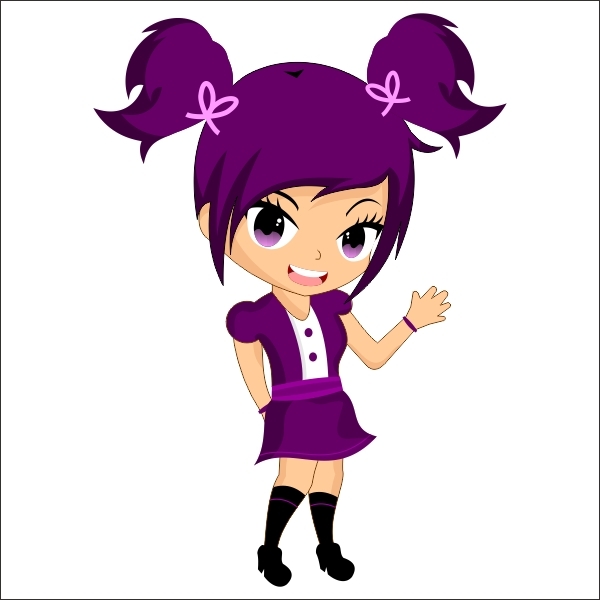 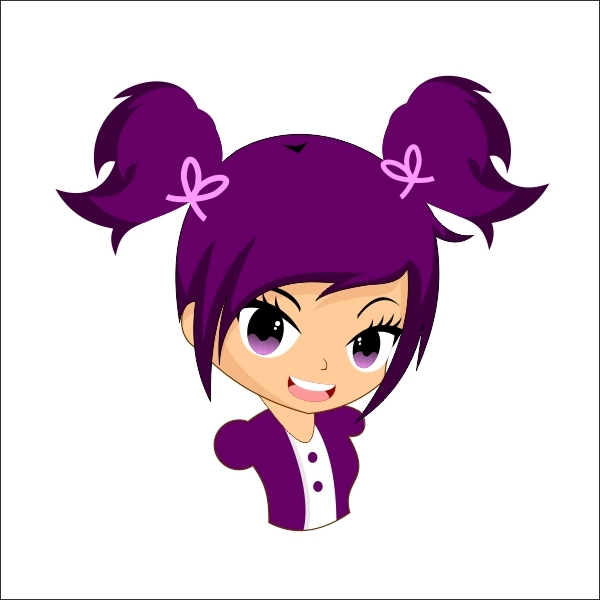 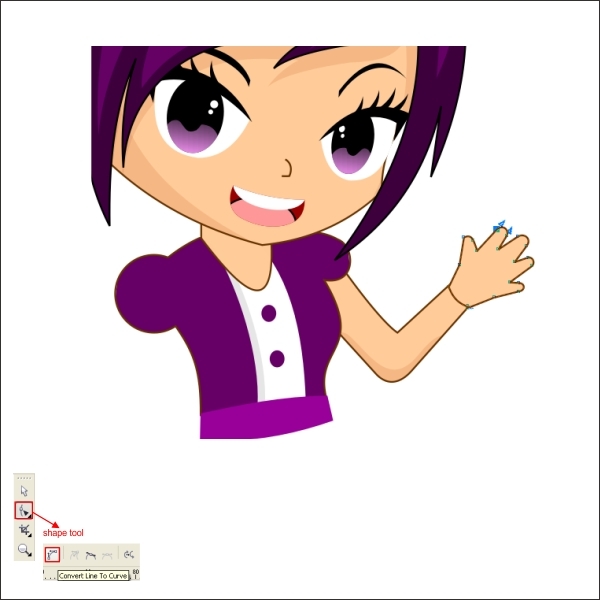 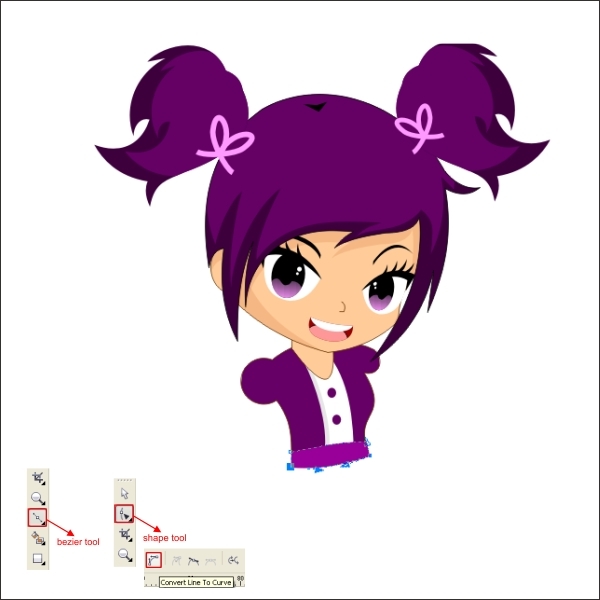 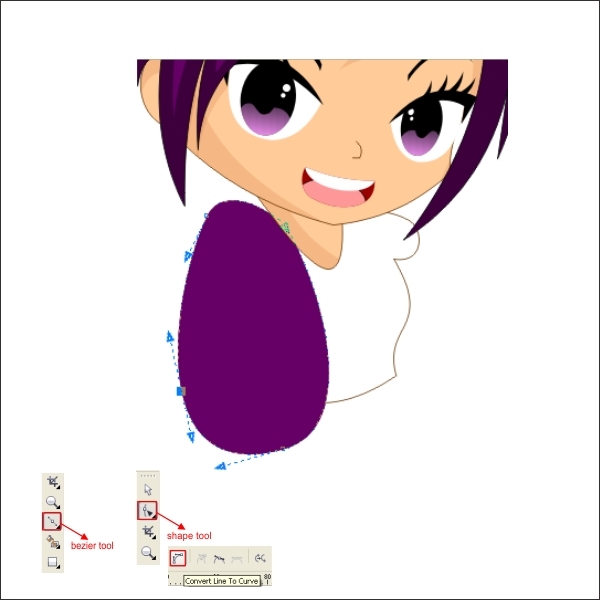 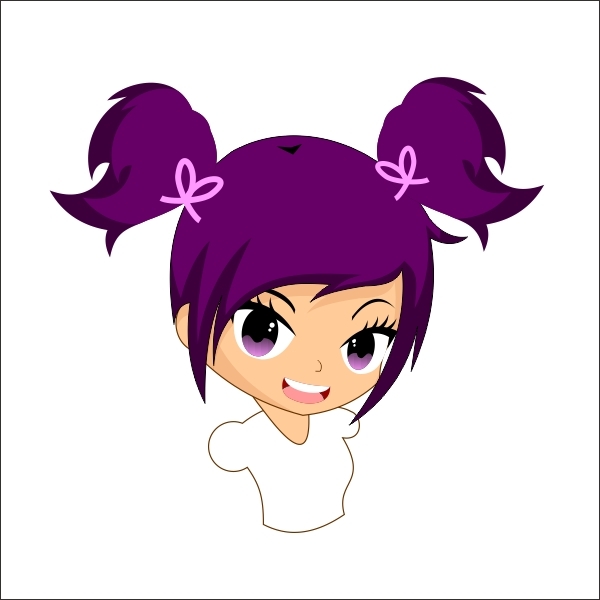 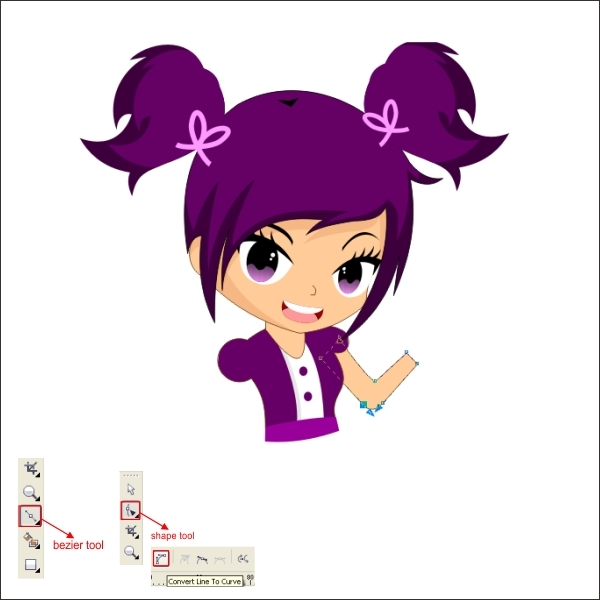 Next step is create a hands for the Arm, by using " Bezier & Shape Tool " similar like below. 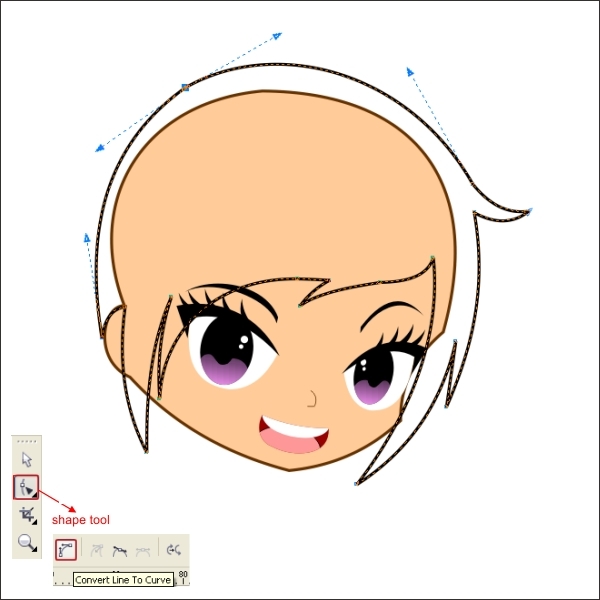 Shape it using " Shape Tool " and put a base skin color in it. 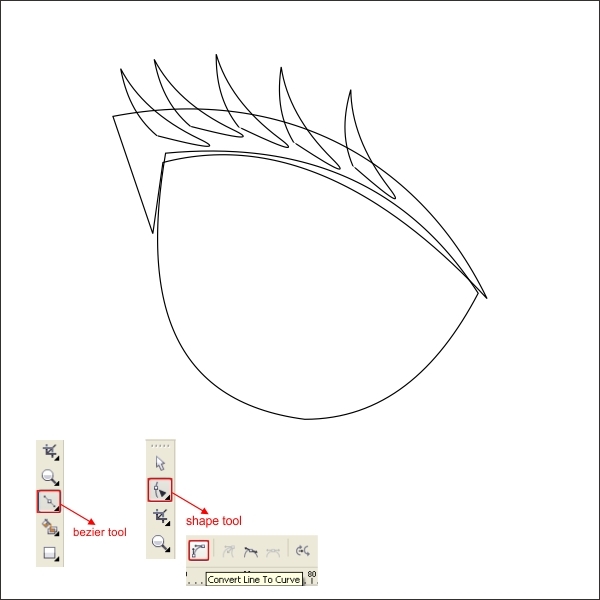 Go to the " Bezier Tool " and create a random custom box shape similar like below to create a skirt. 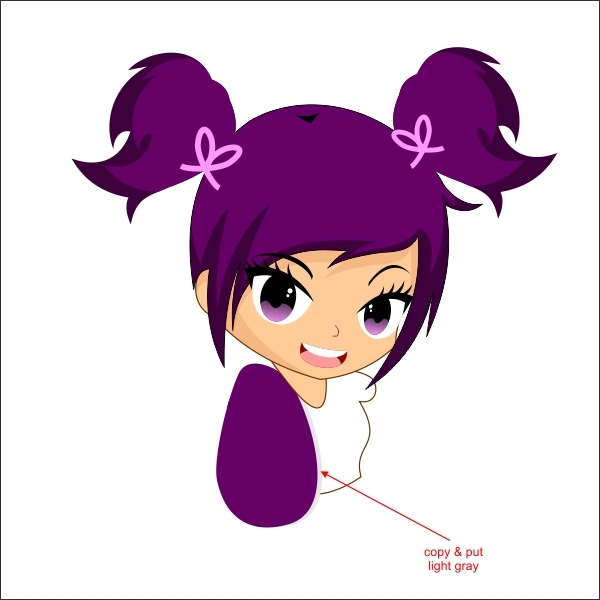 Cool, now we are going to add some highlights to the Body and Legs, draw a custom shape using " Bezier Tool " and put a dark color in it similar as below. 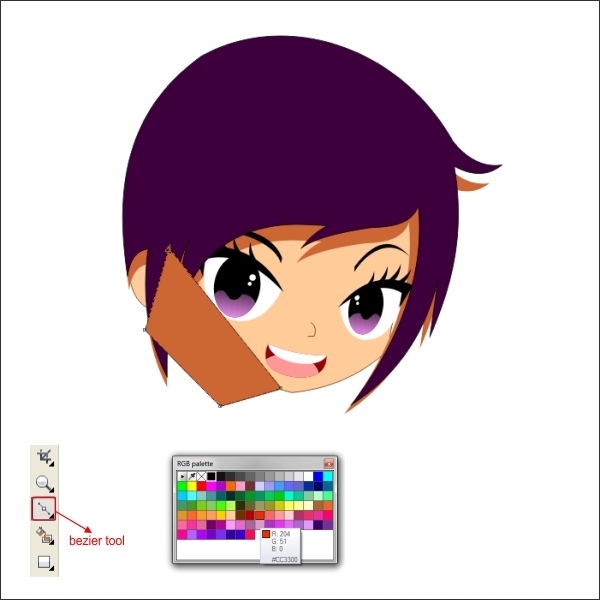 Now go to the " Interactive Transparency " tool and apply the value below to make the Highlights thinner. 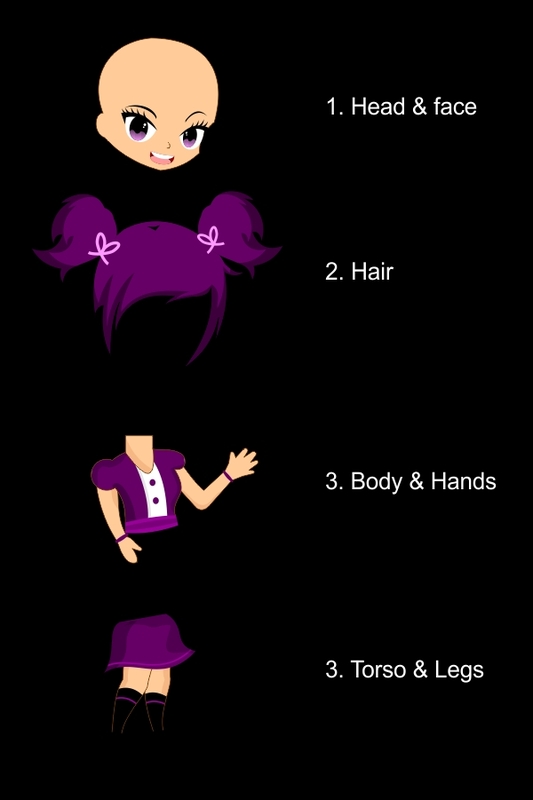 Apply the same steps as above to all the body and legs.